A 19-year-old college student from Queens says he was handcuffed and locked in a jail cell after buying a $350 designer belt at Barneys on Madison Avenue because he is "a young black man." 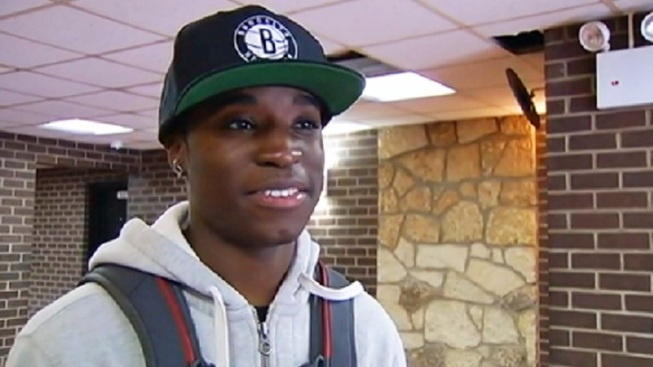 Trayon Christian told NBC 4 New York on Wednesday that he saved up from a part-time job for weeks to buy a Salvatore Ferragamo belt at Barneys. When he went to the store to buy it in April, he says the checkout clerk asked to see his identification. After the sale went through and he left the store, he was approached by police about a block away, and asked "how a young black man such as himself could afford to purchase such an expensive belt," according to a lawsuit filed Tuesday in Manhattan Supreme Court. Officers hauled Christian to the local precinct, where he showed police his identification, as well as his debit card and the receipt for the belt, the lawsuit says. Police still believed Christian's identification was fake, and eventually called his bank, which verified it was his, according to the complaint. Christian, who has no prior arrests, was released. He told NBC 4 New York that questions were racing through his mind while he went through the painful experience of being handcuffed and taken to a cell. "Why me? I guess because I'm a young black man, and you know, people do a credit card scam so they probably thought that I was one of them," Christian said. "They probably think that black people don't have money like that." He later returned the belt to Barneys because he says he "didn't want to have nothing to do with it." He is suing the city and the luxury department store for unspecified damages as a result of "great physical and mental distress and humiliation." The NYPD said Christian's encounter with police is "under internal review." Barneys said in a statement Wednesday that none of its employees was involved in any action with Christian other than the sale, and added that the store "has zero tolerance for any form of discrimination." A second black customer, Kayla Phillips, came forward Wednesday, telling the New York Daily News and the New York Post that she was harassed by police after buying a $2,500 Céline handbag from the upscale store. Phillips, a 21-year-old nursing student from Brooklyn, told the newspapers that four officers approached her in a nearby subway stop minutes after the purchase and asked her why she used a temporary debit card to buy the bag. Phillips said she had just opened a new bank account when she bought the purse. Phillips' attorney told the Daily News that a civil rights lawsuit is pending in the encounter.